Add all ingredients to a large bowl (at least 4 quarts in size) and toss. Cover tightly and chill until ready to serve. *Use as much dressing as you prefer, but Wild Coyote is the only way to go...it's so good! 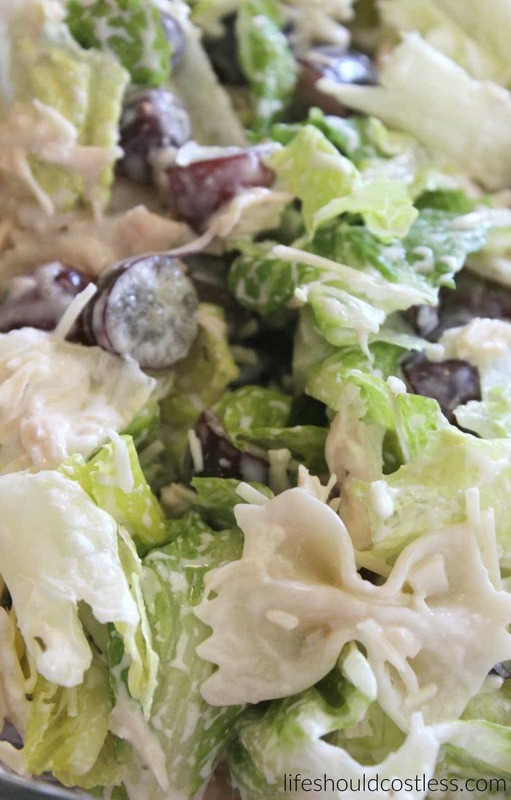 **The dressing can make it soggy, so make sure not to add it until just before you serve it. ***Place the Canned Chicken in the fridge so that it's nice and cold like the other ingredients. ****If you don’t have time to prep your noodles beforehand and need them cooled quickly, I find it helpful to rinse them with very cold water and then spread them out on a cookie sheet that is covered with a clean dishtowel and place them in the freezer for 5 minutes or so. They come out just right.